Internal Communication Activities - Internal Comms. What can you do to improve communication inside your business? Communifire is an enterprise level tool to make communications inside your business more streamlined and more effective. Make Internal Communication Fun with Communifire. Reinvent collaboration and promote engagement with Communifire. Is your company winning the communication war, or are teams falling prey to buried emails, missed meetings, and undelivered updates? Once communication obstacles begin to affect outcomes, you've waited long enough to implement an effective solution. Fortunately, it's not too late. Choosing to launch Communifire's platform as your organization's primary communication solution puts in motion fun, engaging internal communication activities your employees will love to use. From messaging and chat to activity streams and social features, encouraging engagement throughout your organization is easy when you have the right tools. When your employees aren't wasting time with duplicate and repetitive tasks, your company fosters employee satisfaction while providing customers with stellar service. Have more effective communication and collaboration company-wide with Communifire's cloud-based internal communications software. The Benefits of Implementing Internal Communications Software. Use gamification tools to encourage friendly competition among employees, teams, and departments. By recognizing top performers and community contributors, employees remain engaged and inspired to complete their best work. Acknowledge leaders with instant announcements and accolades that can be seen by everyone in your organization. Easily delegate tasks and projects to members of your organization using defined work flows. Customize permissions to different work flow groups and clearly communicate the scope of a project with videos, images, and Wiki pages. By making internal communication activities feel like simply using the web and social media, Communifire expedites onboarding. Encourage participation in social tasks, like comments, Likes, and ratings, to highlight your company's best content and contributors. 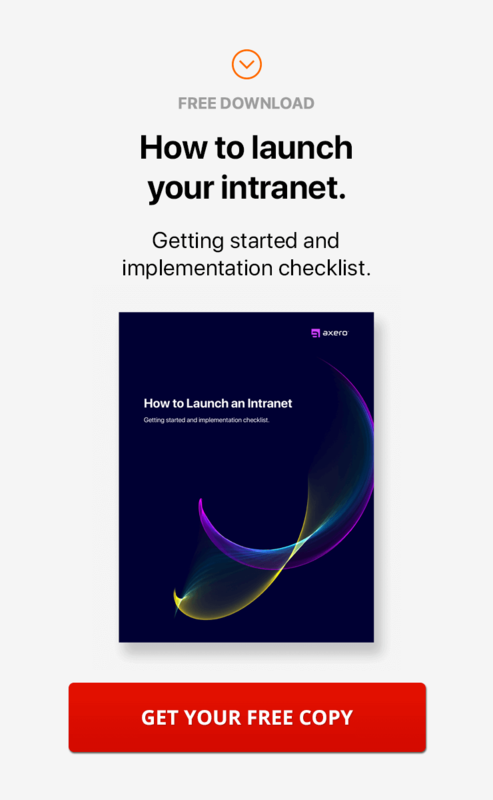 As more members of your organization get involved, you begin to develop a bustling social intranet specifcally tailored for your brand. Unite team members whether they're working in another office down the hall or stationed 1,000 miles away. With employee profiles and the ability to instantly communicate, building interdepartmental rapport is easier than ever. Employ social functions, like #hashtags and @mentions, to enhance engagement and keep the conversation flowing. Streamline internal communication activities centered on a specific topic or project with virtual work spaces. By controlling access to work groups, you're able to keep content focused on desired outcomes. Prior to a project's launch, use Ideation to conceptualize details, gain approval, and perform pre-project planning with others. Coordinate staffing, schedule events, and plan meetings using Communifire's built-in calendar. Share all events with everyone or carefully select guests depending on the needs of your business. Because everything is stored securely in the cloud, there's no chance of an important detail falling through the cracks.